Although the regular schedule for the Clarence Hollow Farmers’ Market (10717 Main Street) doesn’t begin until Saturday, June 6, one of Clarence’s favorite gathering spots is open on a smaller-scale on Saturday’s during the month of May. 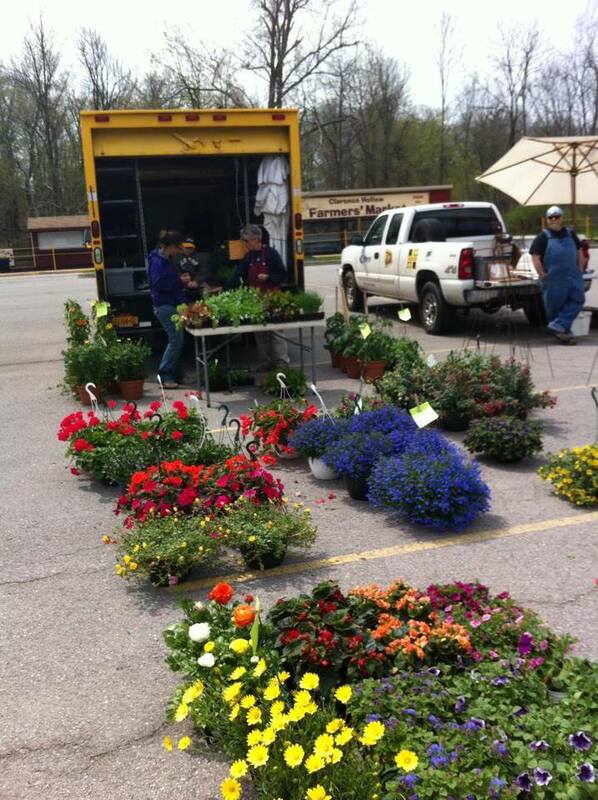 From 8:00 a.m. to 1:00 p.m., the market will feature vendors who will offer Spring bedding, vegetable plants, hanging baskets, flowers and other specialty items. It sounds like the perfect place to get those Spring landscaping projects started. The market’s regular season runs from June to October. With local farmers being the stars of the show, the market supports up to 30 vendors a week. Not only are shoppers eating healthy, but they are supporting their community through their purchases. The 100 percent volunteer-run market has become a popular spot to shop within and outside the Clarence community. One other neat fact about the Clarence Hollow Farmers’ Market. 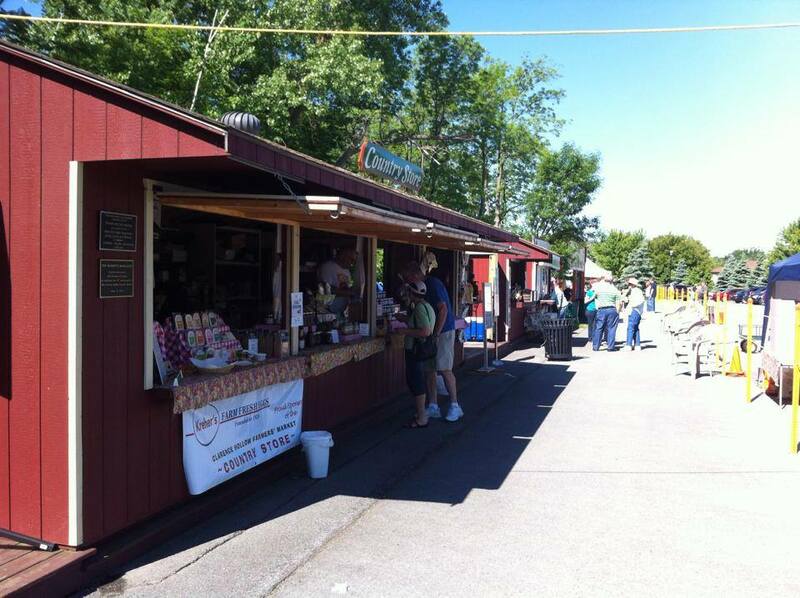 Located right on the Clarence Bike Bath, the market has the distinction of being New York State’s “Only Rails to Trails Farmers’Market.” To learn more about the market, you can visit their website here. Next Next post: All bets are off…the coolest spot on Main Street Clarence.